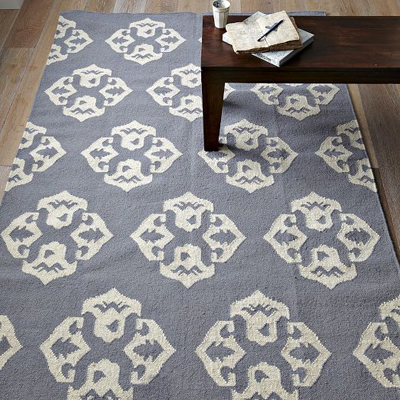 Inspired by a traditional motif from a vintage silk scarf, this graphic wool-and-cotton Feather Gray/Ivory Andalusia Wool Dhurrie—a type of flat-weave rug—is both handwoven and bound. $49-$749. Buy here.